The best editor help you easily convert AMR to MP3 with powerful features. Whenever you utilize the sound recorder on your cellular device, chances are the file will be saved as an Adaptive Multi-Rate sound codec, or AMR. AMR codec files require very little space on your mobile device, but are too compressed to be read by media players on a PC or Mac. Although AMR codec files free up a lot of space on your phone compared to an MP3, AMR is exclusive to your mobile device and cannot be read by alternative media players, like iTunes or Windows Media Player. This can be a large hassle for those who wish to upload recorded AMR files to their laptops, or desire to share the file on their social media profile. Wondershare Filmora is a full-featured audio and video editing/converting toolbox that has versions both for Windows and Mac. It is free for everyone to download and absolutely Adware free and Malware free. Changing your audio format from AMR to MP3 is made quite easy. You will only need to drag and drop your AMR files directly from your mobile device, or local hard drive to the media library. Drag it to the audio track on the timeline. Then click “Export” to bring up a pop up window so that you can choose MP3 as your saved format. The whole process takes less than 2 minutes and requires no technical skills at all. AMR player is a free application that can be downloaded online. This player is often rated as the best AMR to Mp3 converter, as the software hardly takes up any space on your computer, and comes at no additional cost. 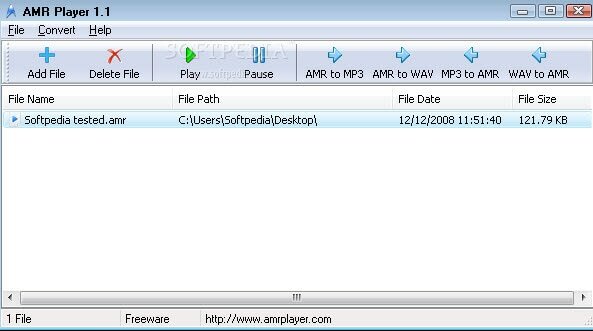 AMR player can switch AMR to both WAV and MP3, and also gives the user an option to play AMR directly on their computer (no file conversion needed). The setup is extremely simple: Select the audio you would like to convert, and your options are listed directly above the audio file (Convert to MP3, convert to WAV, play selection). AMR player shows users how to convert AMR to MP3 in the simplest of formats. For those who only wish to convert a small handful of files, perhaps an online converter will do the trick. This is a multi-faceted online converter, as it can convert from virtually any format to any other format (AAC, AIFF, FLAC, M4A, MP3, OPUS, WAV and WMA to name a few). Online converters are best suited for those who do not need to transfer several files, as the process would be time consuming. To use this online converter, simply select your file, change the audio settings If needed (you can trim the song if you desire), and convert. Although the online converter can only do one file at a time, it is perfect for those one-off circumstances when a file needs to be transferred. The website listed here is just one of the many online file converters available – a quick google search will flood your webpage with results if this website does not work for you. 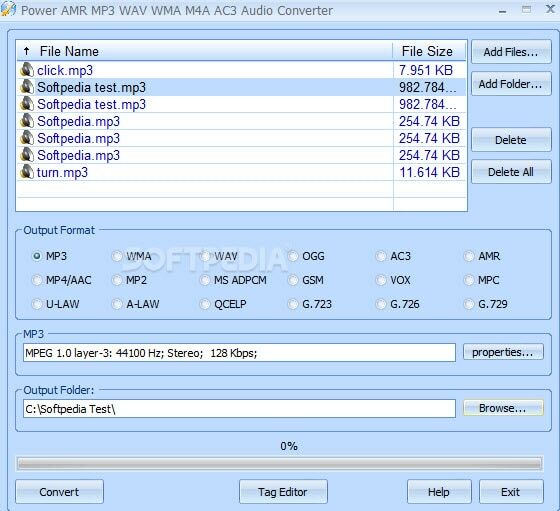 AML Software’s Power AMR MP3 WAV WMA M4A AC3 Audio Converter is an application for purchase that is designed to be the ultimate audio conversion tool for Windows. As stated in its name, this conversion application can be used for much for than just AMR to MP3. AML’s Software Power comes with a free trial that you can download online, and the paid edition costs $19.95 currently. This application is recommended for those who constantly need to convert audio files (perhaps as a career). The benefits of this application include unlimited file conversion (no longer having to transfer one file at a time), and the software doesn’t save or duplicate unnecessary files in the process. These are only three of the many options available at your finger tips. If the online converter mentioned above doesn’t suit your needs, there are several other free online applications available at your disposal. If uploading the AMR file to your computer proves to be a hassle, you can download the Audio Converter or Media Converter app directly to your phone (although, this method will take up a lot of phone storage as the new MP3 will save to your memory card). Whichever AMR to Mp3 road you take, you are bound to end up successful and with money still in your pocket.